During a 5 month period, works were undertaken to renew the track slab within the Mersey Loop at Liverpool. 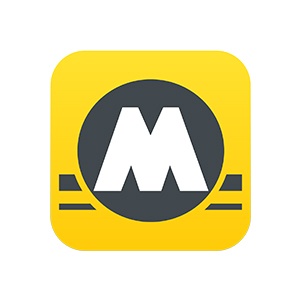 The Mersey Loop is an underground section of single line which forms part of the Wirral line. Built in the 1970s, phases eight and nine of the project included the renewal of all sections of original construction, which involved three tunnel sections and four platform sections. In addition, Story Contracting were the principal contractor for the Switches and Crossings (S&C) Renewal at Hamilton Square being undertaken by the S&C Alliance. For the core works, the project team implemented 24-hour working to ensure the railway could be handed back on time and on budget. The conventional 12-hour shifts were replaced with two 10-hour shifts overlapping by an hour, and a nightly maintenance shift of eight hours. This helped to manage the fatigue of the operatives and staff who were working in a challenging environment. For the core works, the project team implemented 24 hour working to ensure the railway could be handed back on time and on budget. The conventional 12 hour shifts were replaced with two ten hour shifts overlapping by an hour, and a nightly maintenance shift of 8 hours. This helped to manage fatigue of the operatives and staff who were working in a challenging environment. One major success story from the project was the collaboration between our project team and a number of Stakeholders involved with the project. Merseyrail who operate the services on the Wirral Line were a key stakeholder for this project. Story Contracting were able to reconfigure our programme to enable the reopening of James Street Platform 1 in February instead of June. The reopening allowed Merseyrail to run an increased service in addition to being DDA compliant. Early contractor involvement allowed lessons learnt from previous schemes to be incorporated into both the designs and the methodology of the works. This in turn had a positive effect on Health, Safety and Quality as well as ensuring the project was delivered on programme and on budget. Story Contracting were able to reuse the existing concrete slab, saving both time and money for the client. The project team was able to demonstrate further success by involving specialist contractors who had worked on previous phases of the track slab renewal. This ensured the knowledge and equipment was available to undertake the work safely and to a high standard. The scheme also utilised engineering trains to remove spoil from the site, reducing road traffic and ensuring the waste was recycled. A big thank you to those who have worked unseen, under the city 24/7 to deliver the improvements that will benefit the city region in the long term. The collaborative approach between Story Contracting, Network Rail, MerseyTravel and all the other agencies who have helped deliver a successful project and kept the city of Liverpool moving.